Being ‘Man of the Match’ in an FA Cup Final can be hard to live up to. Callum McManaman knows that all too well. Just eleven months ago McManaman was the toast of the town as he led Gael Clichy and the Manchester City defence a merry dance at Wembley. He had not only been the star of the Final, but also of the whole FA Cup tournament. He had started in all of Latics’ seven matches in that cup run, scoring three goals and making two assists. His free running in the final trapped Pablo Zabaleta into a red card, turning the momentum of the game. His superbly taken goal from Jordi Gomez’s exquisite pass had sealed the semi-final win over Millwall. Who could have known that just three days later he would get an ankle injury that would not only put him on crutches, but seriously knock back his career prospects in the process. A burgeoning young talent had been coming through, with managers of the rich and famous clubs casting an eye in his direction. The injury put everything on hold. Many Latics supporters had viewed McManaman’s injury as a kind of blessing in disguise. If it had not happened the young player would most likely have been whisked away to a big club rather than helping Latics get back to the Premier League. Moreover the excellent Shaun Maloney remained at the club following the large turnover of players in the summer. Latics had a new manager in Owen Coyle and he would have at his disposal two players who could tear the hearts out of the defences of Championship sides. Those hopes were soon quashed as Maloney’s injury In September put him out of action long term. Moreover McManaman was dealing with illness and niggling injuries that hampered his return to full fitness. When Coyle left in December, McManaman had made hardly any impact up to that point. Fans were hoping that new manager Uwe Rosler could get the best out of the exciting young forward. At this point of the season McManaman has started in only 14 of the 41 league matches played, scoring one goal and making one assist. Moreover he has rarely played the full ninety minutes. However, he has started in four of the five FA Cup matches Latics have played, scoring in the home tie with MK Dons. 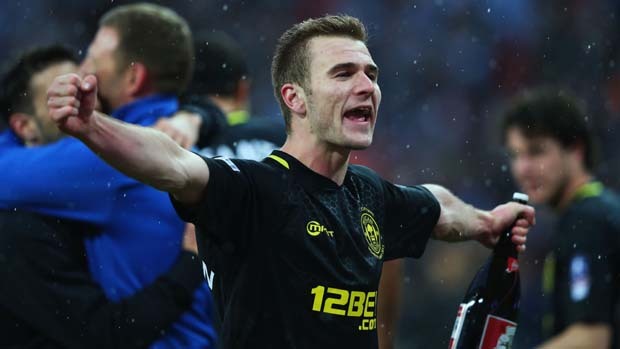 It has been a disappointing season so far for Callum McManaman, but there is still time for him to make a major impact. He has clearly enjoyed playing at Wembley, judging by his performances against Millwall and Manchester City, maybe less so than in his appearance as a 60th minute substitute in the Community Shield. Rosler will surely take McManaman into strong consideration for lining up in the semi-final against Arsenal at the weekend. Coincidentally it was against the Gunners that his career took that set-back last season. Saturday’s game will be one in which he will be keen to impress, showing a big audience that he still has that talent that has been hiding under the surface for so long this season. If he is given the chance McManaman can get his career back on fast-track with a star performance against the Gunners. At his best there are few more exciting players to watch in English football. ← Millwall Preview – a cameo role for Maloney in preparation for the FA Cup semi-final?